Located on the prestigious east side of Epping, Forest Grove boasts the area’s best location and convenience. Ideally located in one of the suburbs' quietest streets, Forest Grove is nestled in an elevated position fronting beautiful Forest Park. The apartments are further enhanced by a conservation zoning that ensures apartments will always boast a sunny, private aspect. A small boutique block designed for the owner occupier, all apartments in Forest Grove are oversized, most with additional large room size studies. All residences are designed to maximise natural light, with clean lines and subtle tone on tone colour palette, with all rooms boasting generous proportions. 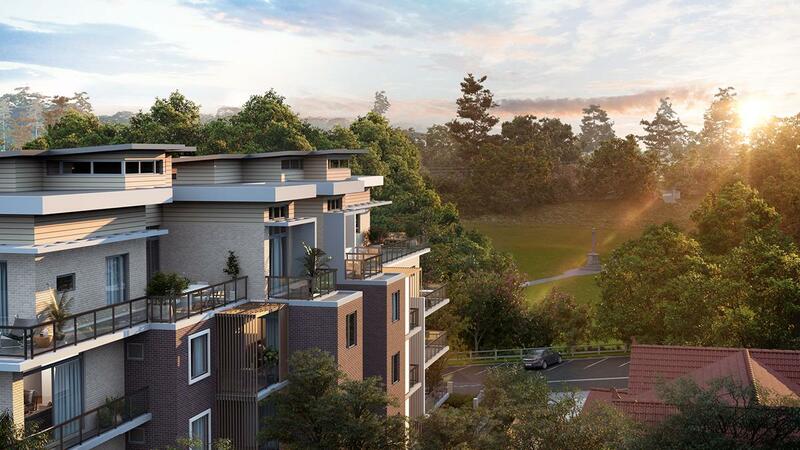 These apartments reflect a genuine understanding of style, liveability and respect for their special parkside location. Forest Grove is now complete and ready to occupy, we still have one 2 bedroom apartment and one 3 bed + study penthouse available for sale.